There are many reasons why you might be experiencing hair loss. Various medical conditions, medications, and hormonal changes can cause thinning or loss and environmental factors such as stress can also play a role. As we age, our diet and nutrition can greatly impact the condition of our hair, but it’s completely normal to experience your hair feeling and looking thinner. 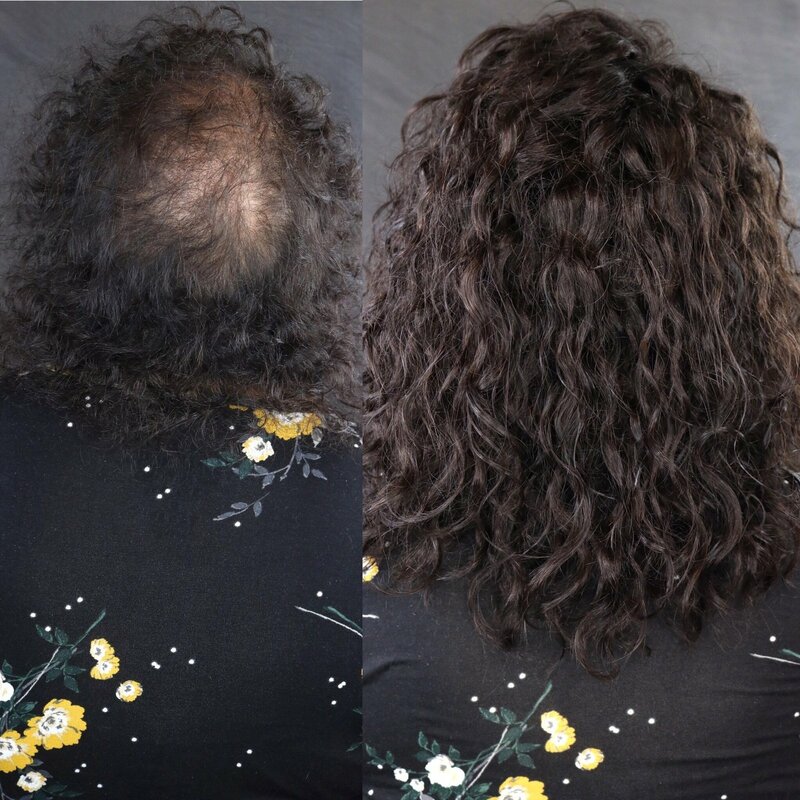 We have worked with women experiencing hair loss for a variety of different reasons, and are familiar with what is and isn’t possible with extensions. Our Crown Extensions can provide coverage to areas of extremely fine hair, hair thinning, or hair loss. They are constructed of a thin, breathable, mesh that feels lightweight and looks completely natural. 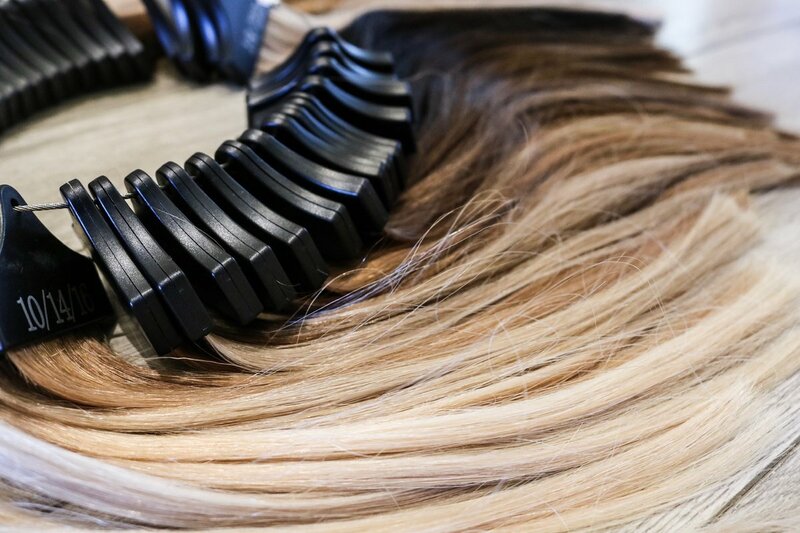 We have options that can be temporary (applied with clips), along with semi-permanent methods that are actually integrated with your natural hair. Lisa first came to see Candice in late 2016. 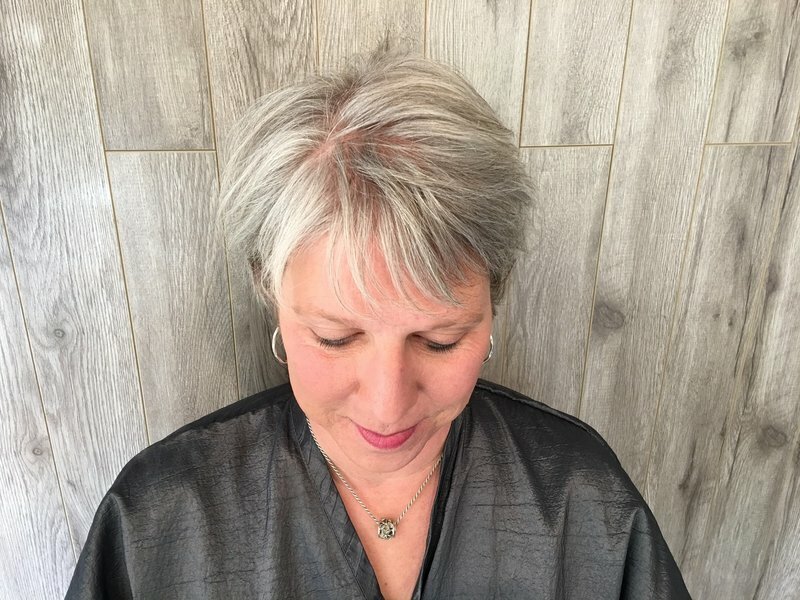 She had recently survived breast cancer and her newly regrowing hair was silver and fine. 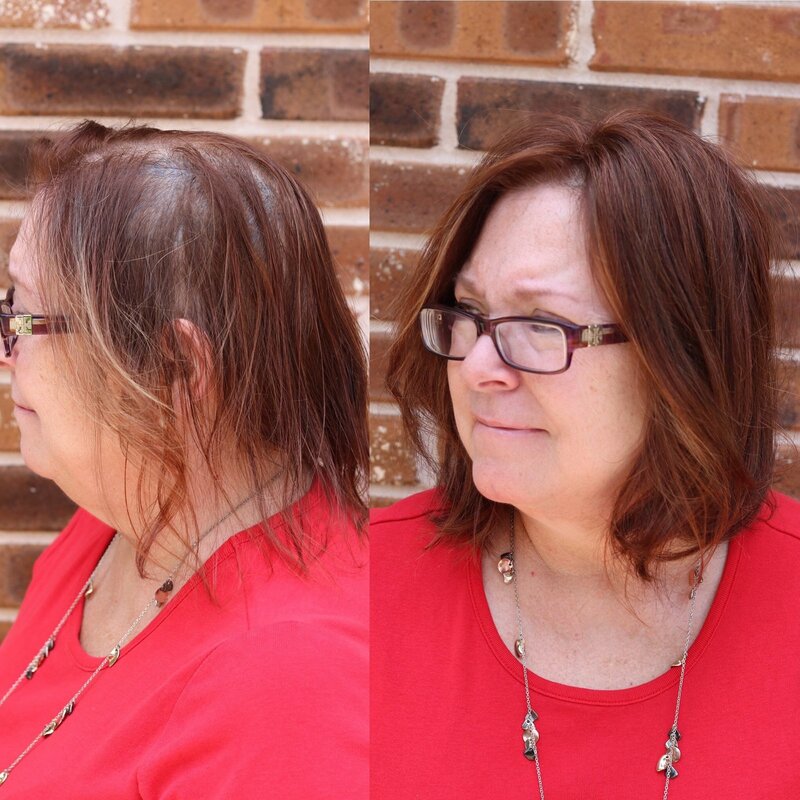 Her husband suggested hair extensions to help her feel more like herself again and no longer have to be reminded of what she went through when she looked in the mirror. 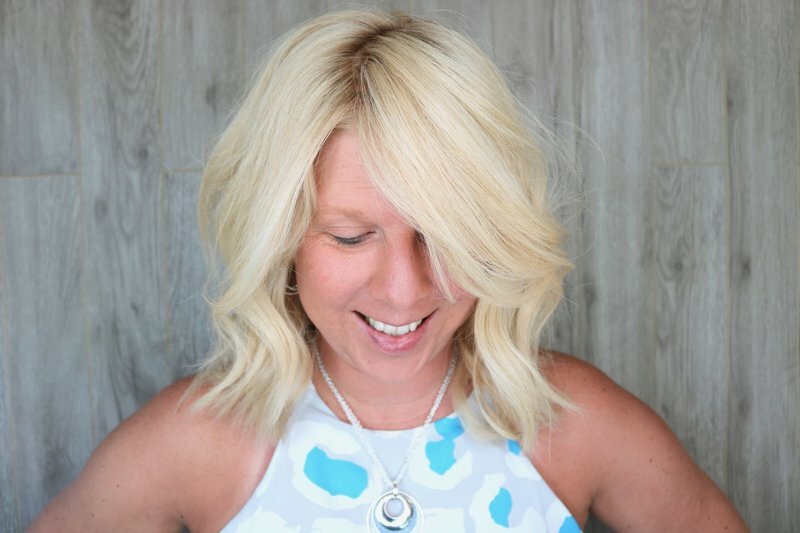 The first step of Lisa’s transformation was bringing her hair back to the blonde she knew and loved. Next was receiving Hairdreams Nanobond fusion extensions. As she wished for more length, but didn’t yet have the coverage to achieve it, Candice suggested a Crown Extension. The Crown Extension provided volume and length that couldn’t be achieved with just traditional extensions alone. Her transformation took about six months total, but it was definitely worth the patience! 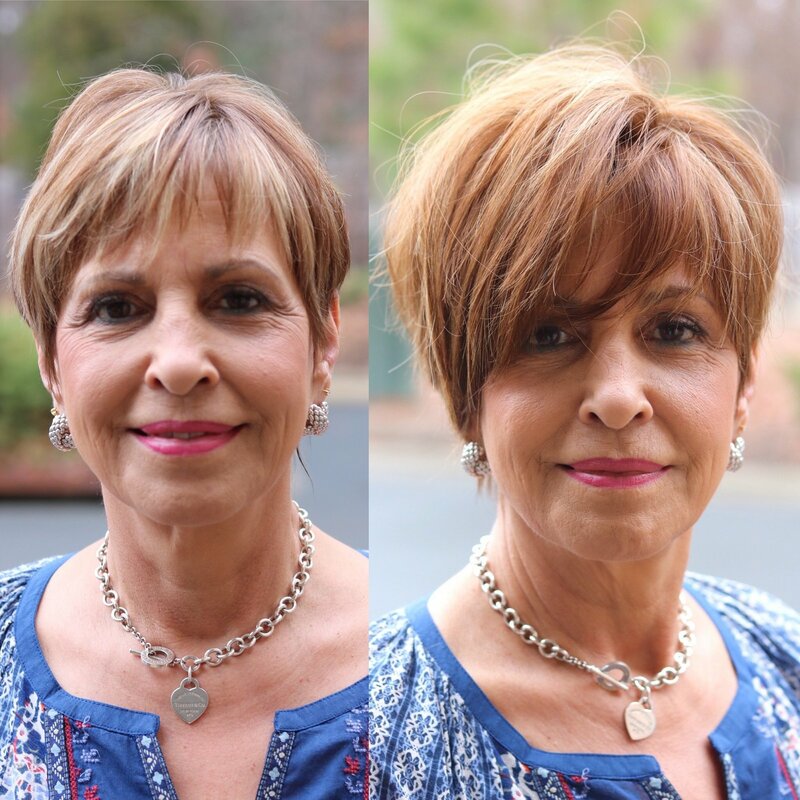 In Lisa’s own words, "My life has transformed not only with my hair, but my confidence in myself and my outlook on life."